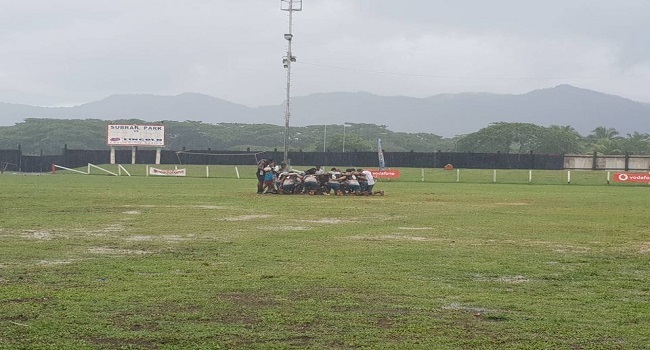 Somosomo Sharks has won the Huawei Ucunipotu 7s at Subrail Park in Labasa. The heavy downpour did little to deter the young brigade from overcoming their much bigger opponents in Westerland Natadra. Both teams scored 7 points in the first half of the game. A last minute try to Somosomo Sharks gave them the victory. Meanwhile, Wailevu beat Domoniwai 17-7 to claim the Plate prize money of $600. Wailevu scored three tries with only one successfully converted. Domoniwai managed a try in the last minutes of the game to earn them the 7 points. As plate runners up, they received $400.